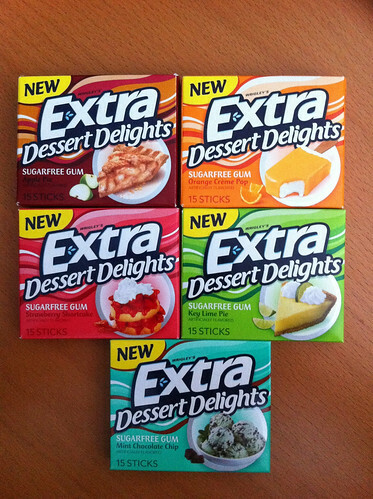 My latest favorite find is Wrigley's Extra Dessert Delights Gum. Several months ago I was at at Sam's Club and found the Mint Chocolate Chip flavor so I bought a huge box of it for my husband. I am not a fan of mint chocolate chip and I did try the gum but didn't care for it. Fast forward to this week when I discovered the Apple Pie flavor at Target as I was standing in the check-out aisle. Oh my!! The Apple Pie flavor is so good!! This gum is great to chew when you just need something sweet but don't want to waste any points. The key lime pie! Is cool!